In this review we prove that “98.4% Success” is a scam on binary options. It is presented by Henry De Sousa. The 98.4% Success app allegedly exploits a computer bug on the New York Stock Exchange (NYSE). De Sousa says that he has discovered it when working there in the IT department. He warned his boss about it, but it hasn’t been corrected. This bug allegedly allows a skilled programmer to see the order flow of everybody, including big names like Warren Buffett, George Soros, Michael Bloomberg. 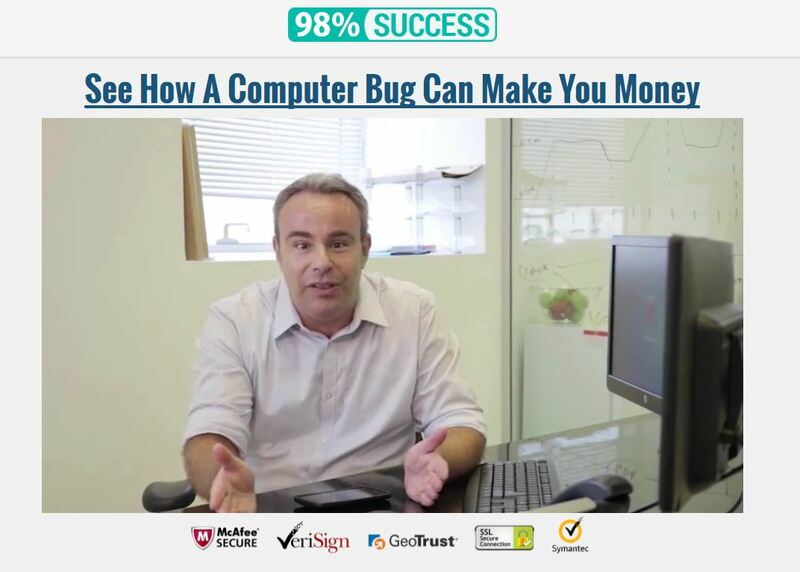 So De Sousa started to exploit this bug with his 98.4% Success software to make money. Now he is giving away his app for free just to take a revenge on his boss. It can allegedly make you $688 per day in average. Henry De Sousa is a fictitious character and his story is complete BS. No trader in the world has a 98% success rate, certainly not Buffett, Soros or Bloomberg. The exploitable computer bug on NYSE does not exist, and even if it existed, it would be illegal to exploit it. But instead of explaining how stupid this story is, let’s show some proofs that 98.4% Success is a scam. In the 98% Success video you can see testimonials, people are endorsing the system and claiming that it is making them money. But they are fake. These testimonials were made with paid actors. Look at the example on the right. The same goes for reviews on the web site. Photos are from different sources, some of them were literally stolen, like the one on the right from The Daily Mail. It is not the first time scammers are using it, by the way. On the 98.4% Success web page you can see social account feeds, but again, they are fake. You cannot click on them, because these social accounts do not even exist. Look at the post on the right, it was created with a stock photo and it is fake. 98.4% Success works like any other binary options scam. People behind it are getting paid for sending new clients to a certain broker. So they need you to open an account with their broker and deposit money. So in reality the software is not even free, because you will have to deposit at least $250 in order to be allowed to use it. Ant the 98.4% Success software itself is worthless, if you trade with it, you will lose your money. 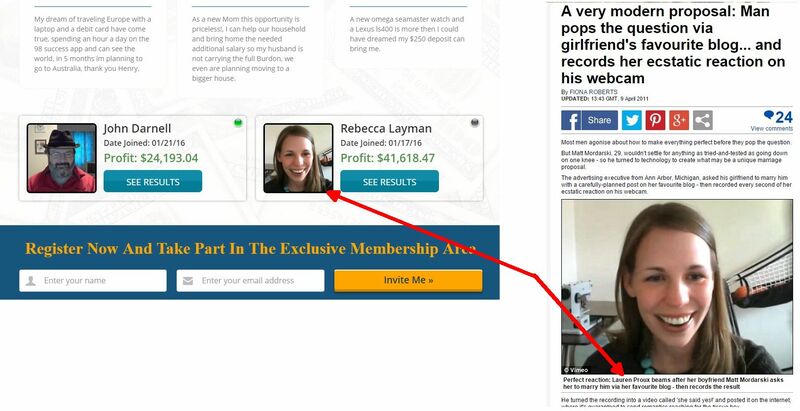 98.4% Success is a scam sponging on binary options. It needs your money to make profits to scammers, so stay away from it. If you are interested in seeing how money can really be made with binary options, try a free demo account. There you can learn trading a prepare a profitable strategy.